Aboriginals were the first Bread Makers. 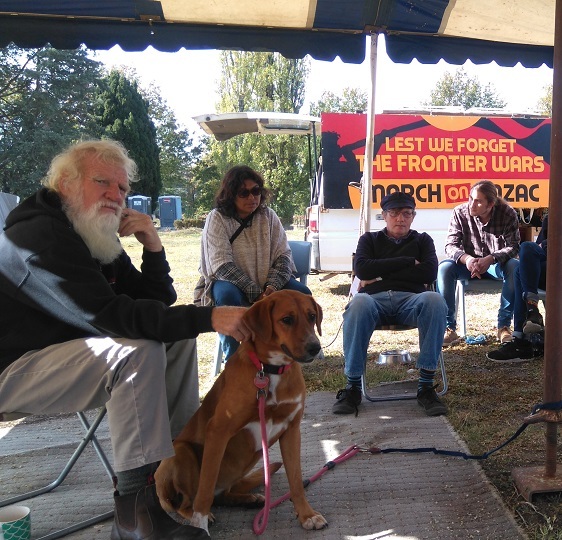 Bruce is yarning at the annual Frontier Wars Story telling camp at the Aboriginal Tent Embassy in Canberra. He asks why such history, that is easily uncovered, is not part of our school curriculum and suggests the fictions we are fed about pre-colonial aboriginal people in our education are a convenient lie. ABC story about Bruce Pascoes Book "Dark Emu" : "Dark Emu argues against 'Hunter Gatherer' history of Indigenous Australians"